Mentoring has become a buzz word these days in the Church world. However, it is not a new concept. Jesus mentored twelve men for three years sharing life and ministry with them on a daily basis. As a result, He had a tremendous impact on their lives – their world perspective, their beliefs, their priorities, their desires and dreams, their understanding of Scripture, as well as their lifestyle. These men then went out and impacted the world in which they lived and, as a result, the Church grew and lives were changed throughout the known world at that time. Tim Elmore said, “More time with fewer people equals greater Kingdom impact.” After 40+ years in full-time ministry I would totally agree with him. The greatest impact of all the various aspects of my ministry has been and still is found in those I have mentored over the years. It is all about the Father and Kingdom building. Jesus was on a mission, and mentoring was the key strategy to fulfill His mission. 2> It’s a selfless endeavour. Jesus mentored out of obedience to the Father. He got nothing out of it personally. He simply responded to God’s call on His life and did what the Father led Him to do. 3> It starts in a group context, not one-on-one. Jesus knew the value of interaction of group members with one another. The group becomes a community, inextractable from one another. Jesus also accepted and even promoted the ‘group within the group’ that invariably develops. He had favourites, and He didn’t hide it or apologize for it. Yes, there was powerful one-on-one interaction, but it started in the context of the group. This is not to deny that Jesus spent time one-on-one with His disciples. And, in practice today we often see a good deal of one-on-one mentoring as the relationships mature and a specific person stands out as one who could become a leader of leaders with some individual attention. Because of the nature of the personal sharing of life and ministry this can also turn into a life-time friendship. 4> Jesus handpicked those He mentored after much prayer. The group was made up of regular, normal people, not “church people.” They were a diverse group … and certainly not a holy huddle. 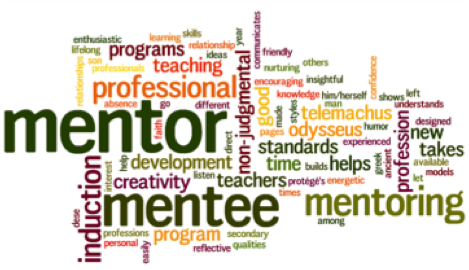 The mentor – mentored relationship was acknowledged. It was not a peer-to-peer group; it was a mentor-mentored construct – clear and unapologetic. 5> It was for a short, defined period of time. Jesus’ mentoring began on time and ended on time. There was a graduation day when His mentors were commissioned and launched. 6> At the core of Jesus’ teaching was Scripture. Jesus and His mentors knew the Scriptures by heart. The Word guided their decision making. Jesus helped His guys understand and apply God’s Word to their daily life and ministry. 7> Public and private prayer played a big role in the mentoring. Jesus modelled a prayerful life; He taught the disciples how to pray and prayed with them and for them. 8> Jesus modelled His faith in a very transparent way. Jesus lived out His life in front of His mentors. They became like family to Him. They saw how He applied His faith, how He struggled, how He handled stress, and how He handled dying. 9> Jesus taught along the way as they lived life and ministered together. He was practical yet spiritual. Jesus helped His guys with practical situations … everything from taxes to workplace issues, from goal setting to family relations. He was far more practical than hypothetical. They discussed the law for sure, but Jesus taught from His knowledge and experience. 10> They was a mutual commitment, and it was a huge commitment. They left their businesses, families, homes … all to follow and learn. Jesus never gave up on them, even when they failed and ran away. Ultimately they never gave up on Jesus, giving their lives not for His memory or His teachings but for His Kingdom. 11> It had a required multiplication element. It produced mature believers and disciple makers. Multiplication was a part of what every one signed up for, and no one was excluded from that requirement. Together, these elements yielded a group of committed Christ followers.